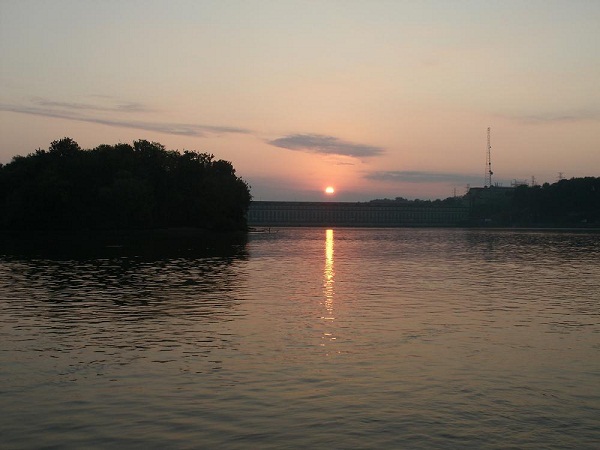 Lake Eufaula has been unseasonably low for the entire summer. Drought for over three months and a scorching three weeks of 100 plus degree days in August, showed this lake and its fish inhabitants really suffer and so did the anglers that come from all over to fish this huge, man made impoundment usually fishing for largemouth bass. The Lake has been down 3-4 feet all summer and until recently when evening thunderstorms and some all day rains occurred it actually brought the lake back up a foot. Lake Eufaula could remain low (possibly down even lower) right on into the upcoming winter season and it traditionally stays that way until spring. Or if this fall season is like most fall seasons on Lake Eufaula more heavy rains could suddenly swell the lake back to full pool. So as of this writing during the first week of September, its really hard to say. Not much has really changed…except for a slow, gradual change in the weather as September shows the real beginning of the fall season. Which can only get better creating better fishing conditions for the remainder of fall in October and November and on into the upcoming winter season. This lake features over 70 miles of navigable water. Even when down 3-4 feet there is still plenty of fish holding waters to explore, but with caution. From Lakepoint Resort (which is situated in the mouth of Cowikee creek) – to the lakes headwaters, you will immediately notice the lake gradually narrows and then returns to more of a River channel. 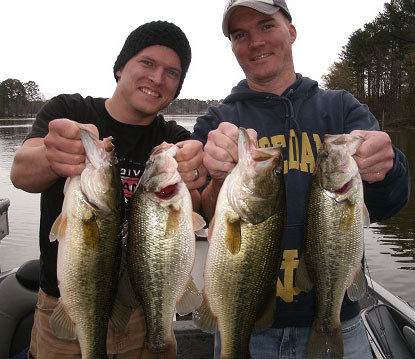 Most bass tournaments are held out of this very popular Lakepoint resort park that features a resort, motel, cabins, boat launch and restaurant. From the bridge that crosses Cowikee Creek, all the way out to the main river channel, is over a mile of twisting, turning (and well marked) creek channel. It is advised not to take any short cuts in this area. Stay within the red and green channel markers when navigating the boat here and within the red and green channel marker buoys on the main lake as well. If you just happen to stray to far from these deeper creek and river channel depths you will quickly see what I mean, with 1-2 feet of water very evident nearby most every channel marker. Fishing for the lakes so well noted largemouth bass involves either targeting shallow water bass around wood cover and whatever aquatic weeds still exists or going deep. The fall season has bass in both shallow water and deeper water to be found lake wide by the angler that is willing to do a little research, map study (and in deep water), spend some quality time with some type of depthfinder or just spend years of fishing and exploring this huge lake…like I have. 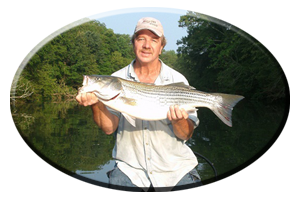 I’ve fished and guided all over Lake Eufaula for over 30 years. My dad and uncle fished in the earlier years of its impoundment when it first opened in 1963 over 45 years ago. The lake has changed in many ways over the past 30-40 years. But one thing remains common knowledge even today by the many regulars that frequent Lake Eufaula. As its waters begin to cool fall and early winter may show some of the years biggest bass in shallow water for a longer period of time, more than any other time of the entire year. Reasons being they are eating. These bass have seen a lot of lures and although its been said a bass does not remember more than a few weeks and it does not really think just reason, they can respond. 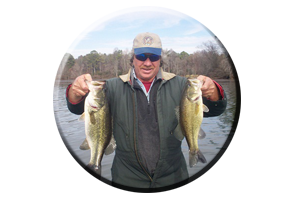 These bass are pounded with lures of all kinds all throughout the early spring prespawn season, during spring when bedding, all summer long both day and night and now, during the fall season. You can bet one of those many unfortunate bass you may catch has been caught before. This is usually quite evident by its hook torn mouth or healed up and often scarred and deformed mouth, or a missing eye or hazy looking blind eyes, or even a hook still in its mouth from the last angler that left it there or got broke off! So choose your lures wisely. Sure both the bass of fall in shallow water and those bass in deeper water may still hit a 10 inch worm. But they may really scrutinize the lure before striking it too. Or they could just follow it and suddenly appear right at the boat, as you lift the fake offering over board. So slow down, working the worm very painstakingly slow and see if you can get bites other anglers fishing way to fast fail to entice. 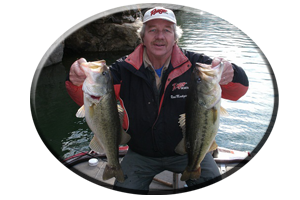 This goes for fishing deep within any weeds, wood cover, rocks or rip-rip rap rocks or other shallow water cover with worms, lizards, tube baits, creature baits or jig combos. Think slow, fish slow, and set the hook fast when you do get a bite and you will be rewarded. Many anglers simply spend an entire day just dragging soft plastics or jig combos along the lakes bottom hoping to get a bite. And on some days this tactic works very well. 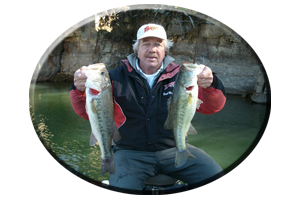 Texas rigged plastics, Carolina rigged lures and even small finesse lures fished on light tackle outfits have worked very well in fooling Lake Eufaula’s often very skittish bass into biting. Some anglers even approach these bass in a very quite manner as they get the boat in tight to bank cover and flip, pitch and swim their lures in and around weeds, rocks and wood cover. But there are many other ways to fool these largemouth bass, many techniques, various types of lures and loads of places to explore on Lake Eufaula this fall and early winter season. Like said, “fishing slow always has its rewards” and when bottom dragging lures or punching into thick cover, slow is always better. “Fast fishing” comes with other lures. When I was young we trolled lures for bass on Lake Eufaula. This technique involved letting out lures (and lots of line) such as deep diving crankbaits far behind the boat, as we slowly idled the boat down the bank, along a flat featuring a drop-off, or we trolled our deep diving hellbenders, mud bugs or other deep diving crankbaits (plugs) near a river channel or deep creek channel drop-off. If you can relate and have tried trolling for bass you surely lost some lures as we did back then. Something interesting always entered my mind as we started each day trolling. How could these bass chase down these very fast trolled lures and then catch them, often getting hooked right in the wake of that bold looking 25 horsepower outboard motor? Even during the winter! So never think you can out reel a bass, if they can chase down a lure trolled behind a boat. So fast retrieved lures such as crankbaits fished in all depths, rattling lipless lures (like Rattletraps, Cordell Spots, etc.) in all sizes and weights, even floating and suspending jerkbaits can be attacked when retrieved very fast and with very erratic actions. This can be good this fall and winter as well with just casting your lures! Not only crankbaits, but spinnerbaits, jigging spoons and fast retrieved jig combos can often generate those reaction strikes from bass that are actually tricked into hitting your fast retrieved lures. 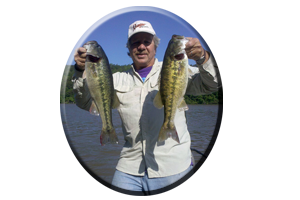 Bass (on the other hand) that are missed by anglers fishing to slow on Lake Eufaula this fall season…. Making a trip to Lake Eufaula this fall and winter season? Always call on Reeds Guide Service…first! Or make plans and book a two day, discounted instructional fishing trip, this year or next spring (discounted as well) and prepare for a day full of fishing tips, instructions, lure choice and years of compiled fishing stories and tales! Remember a guided fishing trip with Reeds Guide Service makes a great gift for Birthday’s, Father’s Day or Christmas (certificates available), for those loved ones that love to fish!